A new patio or conservatory area that you are unsure of how to best utilize? A new home with a large amount of garden space? We have the perfect solution for you! An outdoor pool table! 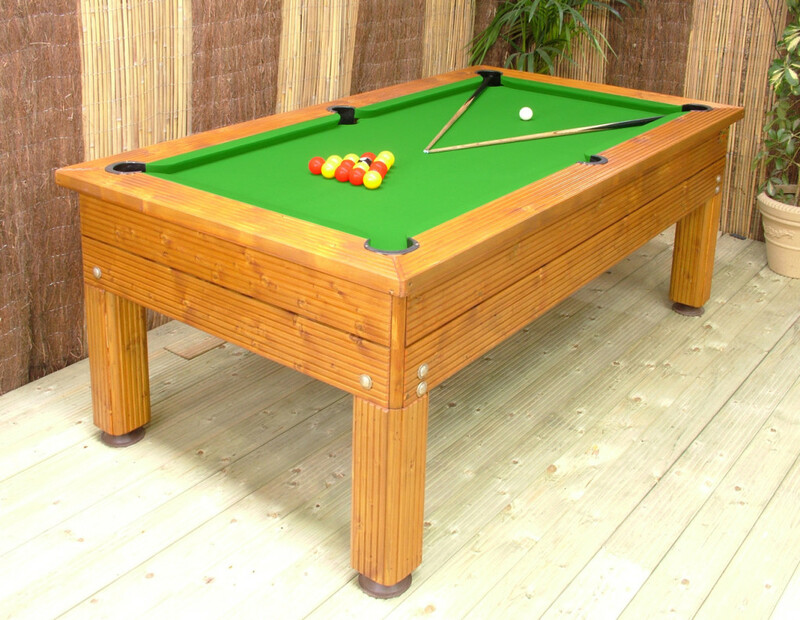 Outdoor pool tables are not only a fun way to play pool, they can also be used as a dining table or as a focal point for gatherings. Accessories are available from us to cater for your needs. A new range of outdoor tables built by British craftsman in a time honoured tradition, these tables are a focal point for your social gatherings. Pressure Treated wood finish to protect against rain, sleet or snow! Available in 6, 7 and 8 feet!